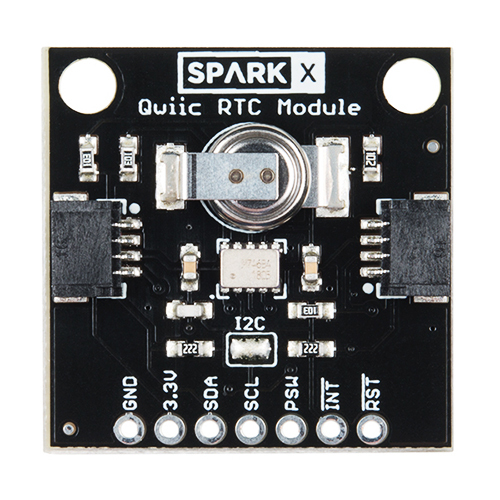 The Qwiic RTC from SparkFun is a very unique and exciting Real Time Clock. It is extremely precise (within 3 minutes over a year! ), extremely low power (less than 22nA!) and has all the necessary oscillators and back-up power making it very compact. The RV-1805 from Micro Crystal has not one, but two internal oscillators: a 32.768kHz tuning fork crystal and a low power RC based oscillator. The RV-1805 automatically switches between oscillators using the more precise crystal to correct the RC oscillator every few minutes. This allows the RTC to maintain a very accurate date and time with the worst case being +/- about 3 minutes over a year. Very few RTCs can come close to this. The RV-1805 and the library SparkFun have written operates the RTC at 22nA. This is extremely low power. No external battery needed! 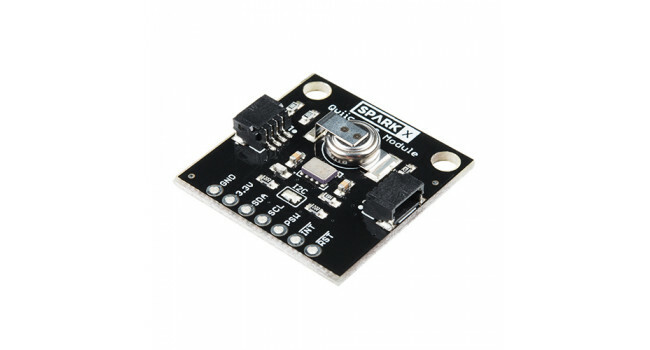 SparkFun have included a 0.22F super cap on the Qwiic RTC. This should maintain the RTC for over 170 days (nearly 6 months. 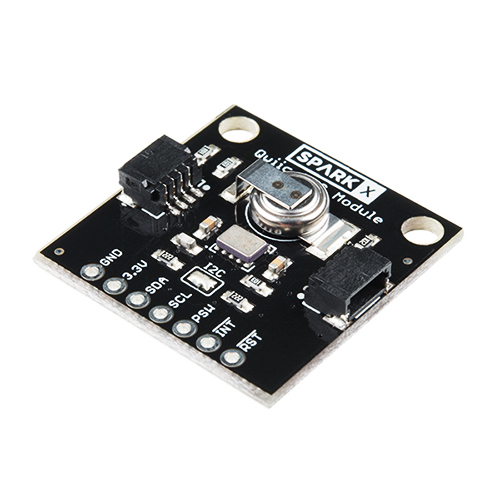 For now, SparkFun guarantee the super cap will maintain the RTC for over a month. That means you can let the board sit with no power or connection to the outside world and the current hour/minute/second/date will be maintained. The RV-1805 RTC has a built in trickle charger: as soon as the RTC is connected to power the super cap will begin to charge and will be fully charged in under 10 minutes. Now you’ll never have to worry about how much longer your coin cell may last! The RV-1805 has an alarm and timer capability. This allows the user to set various alarms and generate interrupts when a certain time is achieved. Lastly, and perhaps most interestingly the RV-1805 has the ability to switch power to other systems. The RV-1805 has a PSW pin that can sink up to 50mA. This allows it to directly turn on or off a power hungry device such as a microcontroller or RF engine. The RV-1805 can be configured to power up/down the device based on time or external interrupts. 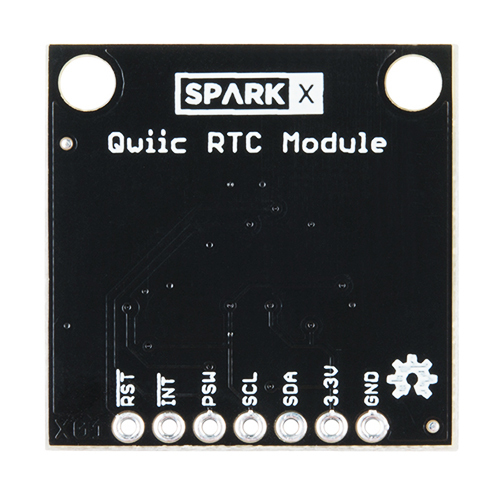 The Qwiic-RTC uses the simple Qwiic interface. No soldering, no voltage translation, no figuring out which pin is SDA or SCL, just plug and go!